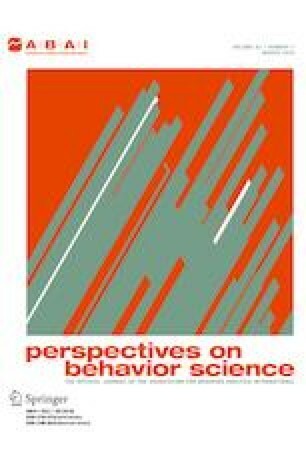 Worries about the reproducibility of experiments in the behavioral and social sciences arise from evidence that many published reports contain false positive results. Misunderstanding and misuse of statistical procedures are key sources of false positives. In behavior analysis, however, statistical procedures have not been used much. Instead, the investigator must show that the behavior of an individual is consistent over time within an experimental condition, that the behavior changes systematically across conditions, and that these changes can be reproduced – and then the whole pattern must be shown in additional individuals. These high standards of within- and between-subject replication protect behavior analysis from the publication of false positive findings. When a properly designed and executed experiment fails to replicate a previously published finding, the failure exposes flaws in our understanding of the phenomenon under study – perhaps in recognizing the boundary conditions of the phenomenon, identifying the relevant variables, or bringing the variables under sufficient control. We must accept the contradictory findings as valid and pursue an experimental analysis of the possible reasons. In this way, we resolve the contradiction and advance our science. To illustrate, two research programs are described, each initiated because of a replication failure. This paper does not report original empirical research, but rather reviews previous work, almost all of it published in peer-reviewed journals. The research in which I directly participated was reviewed and approved by the responsible committee (IACUC or IRB). Baker, M. (2015). Over half of psychology studies fail reproducibility test. Retrieved from Nature News, https://www.nature.com/news/over-half-of-psychology-studies-fail-reproducibility-test-1.18248. Weinberg, T. & Cohen, J. (2014). Baseball’s been very, very good to me: The Minnie Miñoso story [Video file]. Retrieved from http://www.pbs.org/video/wttw-documentaries-baseballs-been-very-very-good-me-minnie-minoso-story/.